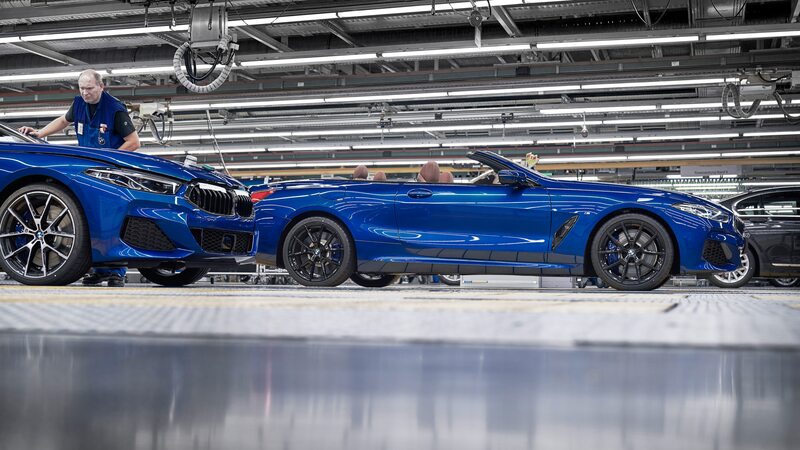 BMW has begun production of the 8 Series Convertible in Dingolfing, Germany, ahead of the car’s market launch in March. 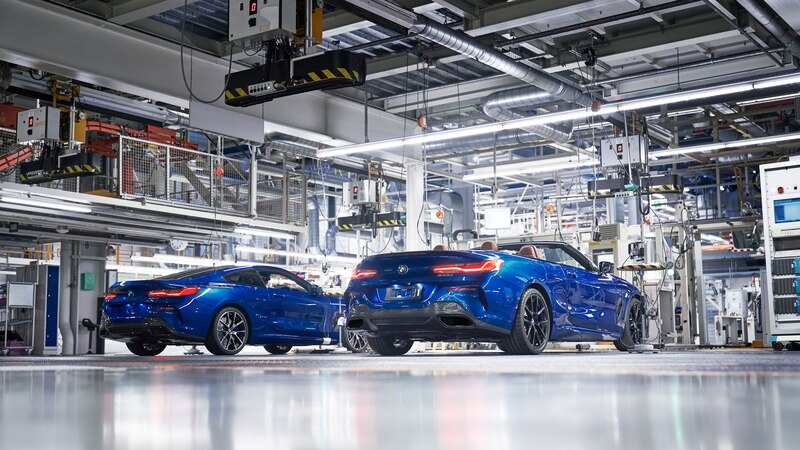 The convertible will share an assembly line with the 5 Series and 7 Series. 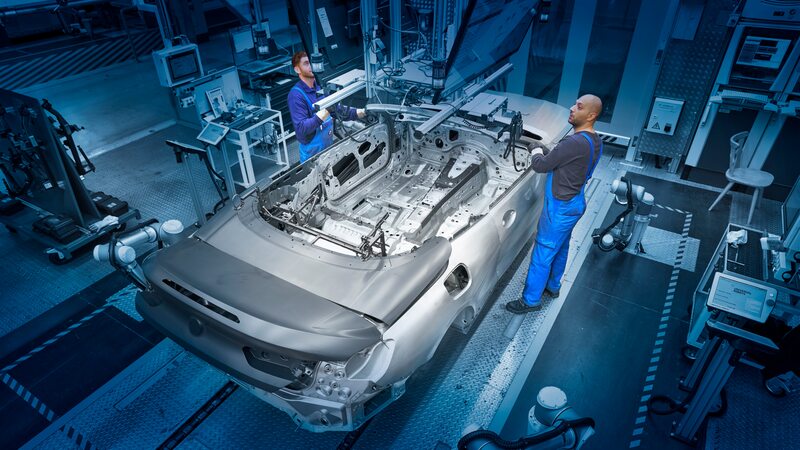 The Dingolfing plant also produces the 3 Series, 4 Series, and 6 Series. 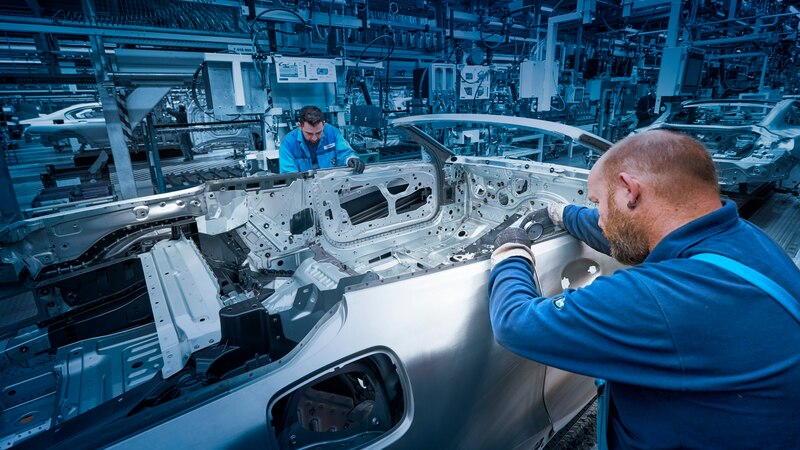 BMW has been producing the new 8 Series coupe at the Dingolfing plant since July. 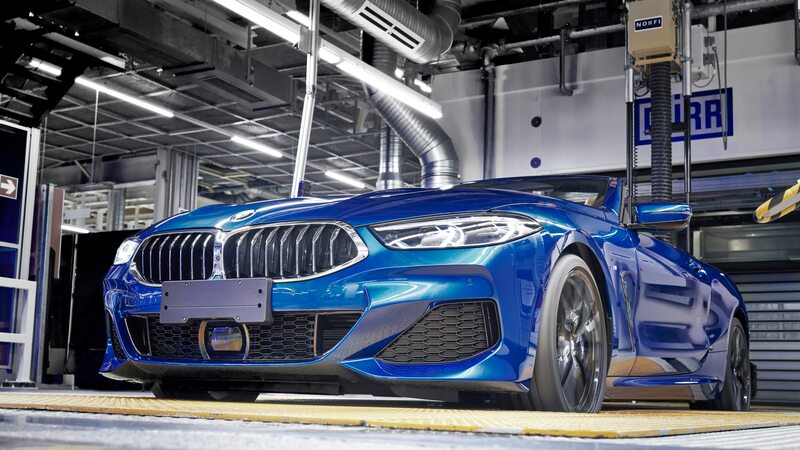 The M850i xDrive coupe goes on sale in the U.S. in December priced from $112,895. The convertible version will be slightly more expensive with a starting price of $122,395. The convertible arrives with a standard fabric soft top. 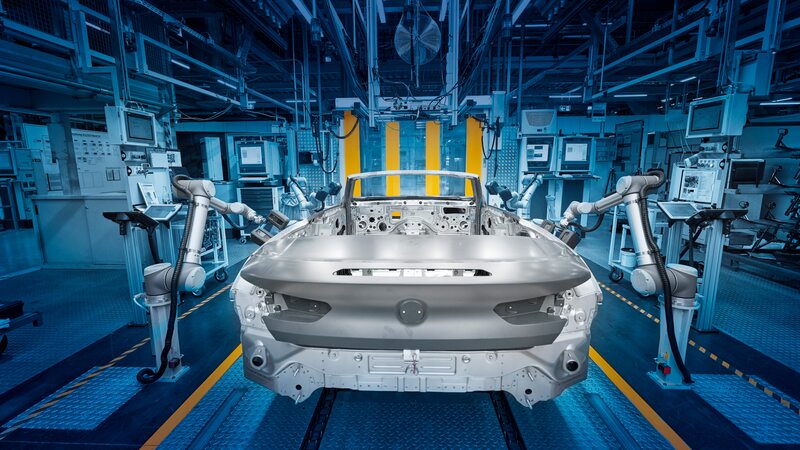 With the push of a button, the roof can be raised or lowered in 15 seconds at speeds up to 30 mph. The 8 Series packs a 4.4-liter turbocharged V-8 making 523 hp and 553 lb-ft of torque. 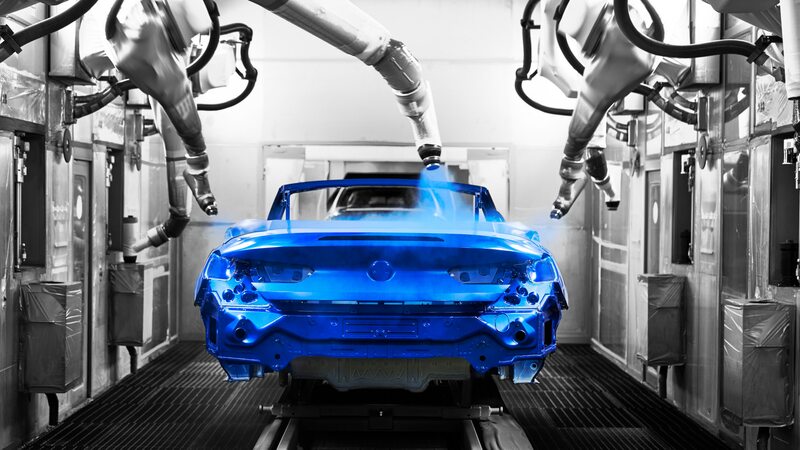 The engine will propel the convertible to 60 mph in 3.8 seconds, or 0.2 second slower than the coupe, BMW says. Europe also gets a less potent 3.0-liter inline-six diesel engine option. 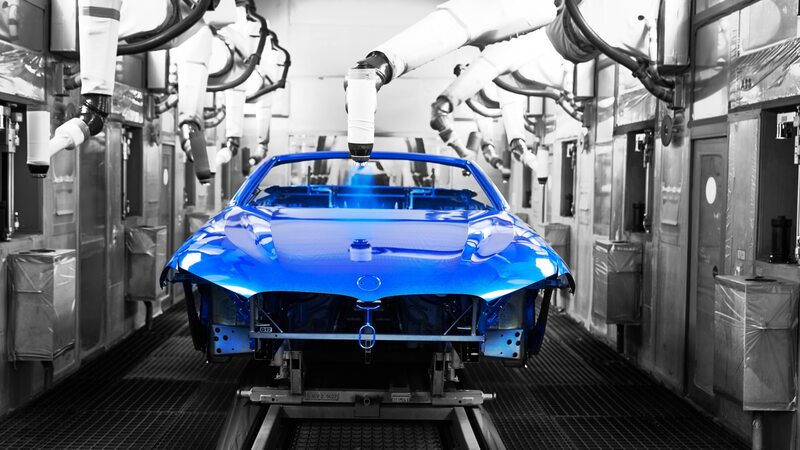 BMW has spent in the “low three-digit-million euro range“ to prepare the new 8 Series for production at the plant. 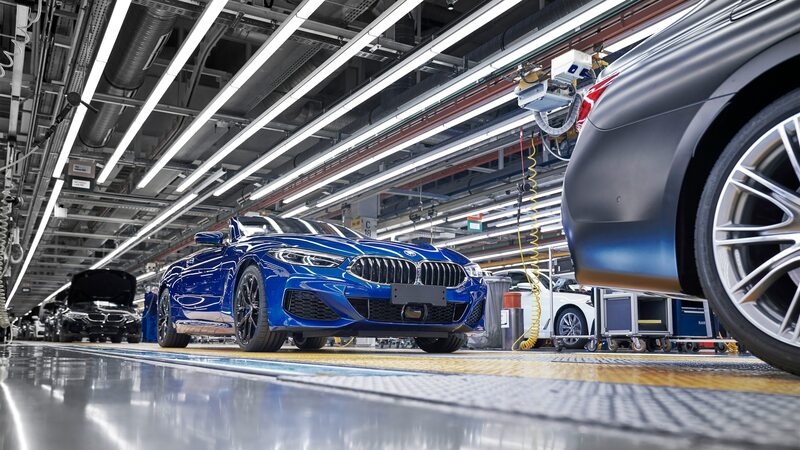 With the money, BMW has invested in new technologies, including autonomous tugger trains that transport parts to the assembly line and collaborative robots that look for misalignments. 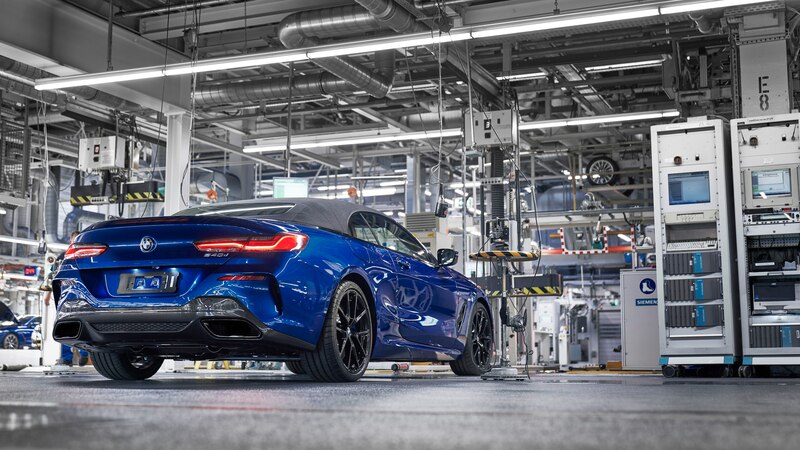 The 2019 BMW 8 Series convertible makes its public debut at the L.A. auto show later this month.